The Santa Bus is Coming to Town! 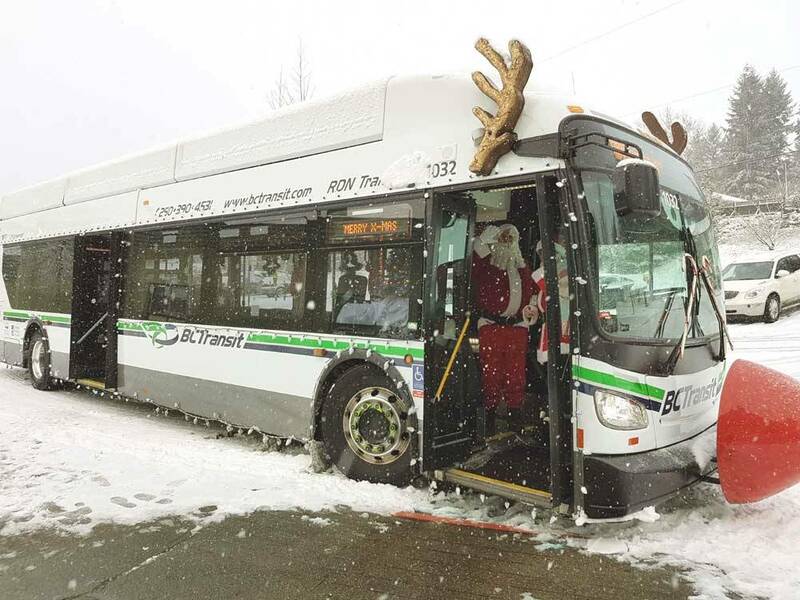 The Regional District of Nanaimo and BC Transit are excited to announce that Santa Bus will make its annual appearance, starting at the Nanaimo Lions Christmas Parade on Saturday evening, December 1 and then heading out for its annual Grand Tour of elementary schools and public venues between December 4 and December 15. Please see the schedule below for dates and times. The Santa Bus will also be collecting Christmas joy while in regular service, picking up non-perishable food items and cash for the Salvation Army in Nanaimo and the Society of Organized Services in Parksville.